Here is the preparation guide for the AWS Certified DevOps Engineer Professional exam (February 2019 released) that will help you prepare and pass the certification exam. 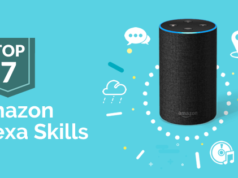 Have you got the news that Amazon Web Services has recently updated the AWS Certified Solutions Architect Professional exam and AWS Certified DevOps Engineer Professional exam to latest February 2019 version? We’ve already covered the preparation guide for AWS CSAA released February 2019. Now, in this article, we will cover the updated blueprint, exam information, and preparation guide for the AWS Certified DevOps Engineer Professional exam. Let’s first consider the basic details of the newly updated AWS DevOps Engineer Professional exam. 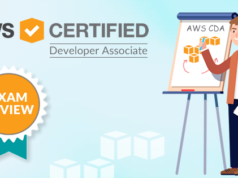 Among the so many AWS certifications, DevOps Engineer Professional is the professional level certification intended for those who have already passed AWS SysOps Administrator Associate and AWS Developer Associate. Although there is no prerequisite for any AWS certifications, following a level-wise learning path is still recommended. AWS Certified DevOps Engineer Professional exam recognizes the technical skills and expertise of candidates to provision, operate, and manage distributed application systems on the AWS platform. Capability of code development in at least one high-level programming language. As the AWS DevOps Engineer professional exam has been updated to February 2019 released version, there has been some considerable changes in the exam blueprint. For this, the recommendations for study materials for the preparation of the exam have also been changed. So, there is a need for the new guide for the AWS Certified DevOps Engineer exam preparation and here it is. This guide has been prepared by the experts on tracking the changes in the exam objectives. Thus, this AWS Certified DevOps Engineer exam preparation guide will help you to get fully prepared for the exam. 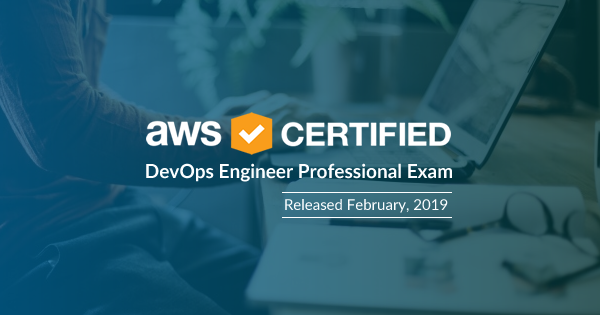 If you have made your mind to take the AWS DevOps Engineer Professional certification exam released Feb 2019 then you should first visit the official page of the exam. The certification page gives you basic information on the exam such as prerequisites, requirements, number of questions, registration fee, exam languages, exam blueprint etc. At this page, you will also find the AWS DevOps Engineer Professional exam guide where you may also find exam format, scoring pattern, recommendations and tips for the exam preparation. Getting a good knowledge of the exam will help you start your preparation in the right way. Previously, there were only 4 domains covered in the AWS DevOps Engineer Professional exam which has now been extended to 6. Check out the old preparation guide for AWS DevOps Engineer Professional exam to compare the new blueprint with the old AWS DevOps Engineer Professional exam blueprint. You can also check other online certification training providers for online training for the AWS Certified DevOps Engineer exam preparation. As the exam has been updated so just make sure their training content has been updated as per the new blueprint of the exam and covers all the exam objectives. 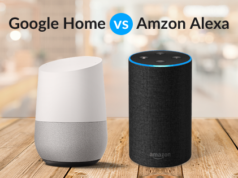 There is no match for hands-on practice, so to prepare well get some recommended experience and get hands-on with the AWS platform. If you don’t have real-world experience of working on the AWS platform, sign up for the AWS free tier where you will get access to the AWS services. With the free tier, you will get access to more than 60 AWS products. So, sign up now and get your hands dirty with AWS free tier. Also, you can check out AWS documentation on the services that are related to the exam. If It’s the time when you have gone through all the preparation resources, means you are almost done with the AWS Certified DevOps Engineer professional exam preparation. Now, you should focus on practice and for this we’ll recommend you to take some practice tests. Prefer those which provide you real-exam like environment, format, and questions so you can be well-prepared and fully-confident to take and pass the real exam. Check your current level of preparation with the Whizlabs AWS Certified DevOps Engineer Professional practice tests. While doing your certification preparation, it is always recommended some good discussion forums, communities, and study groups. It’s actually the media that allows you to connect with other candidates who are preparing for the exam and those who have already passed the exam. You can put your query in the discussion forum and get it resolved by the industry experts and peer professionals. It will also help you learn from the knowledge and experience of other certified professionals. So, join some good discussion forums and study groups now. You can also submit your query in Whizlabs forum and get it resolved by the industry experts. So, we have provided you the preparation guide for AWS DevOps Engineer Professional certification exam. This comprehensive guide will help you go through your AWS Certified DevOps Engineer Professional exam preparation in an easier way. By following the right preparation track, you become fully confident to pass the certification exam in the first attempt. As practice is the key to success, practice tests help a lot to get familiar with the real exam. After going through all the preparation resources, don’t forget to check your preparation level with the AWS DevOps Engineer Professional practice tests. Prepared by the experts, the practice test series will get you ready to pass the exam. Join us now to become an AWS Certified DevOps Engineer Professional. How did I Pass AWS Certified Developer Associate (AWS CDA) Exam? Does the practice test currently covers the updated exam blueprint? New AWS DevOps exam pattern is launched in February 2019 which is one month ago. We have experts who took the exam to understand the new changes in exam pattern. As you know Professional exam is the toughest among all the certifications, we want to be as consistent with the exam as possible however it will always take some time to update the questions as creating questions itself will take a lot of expert work. We have added 64 new questions to the practice tests based on the new exam patterns. We are continuously adding new questions to the practice tests. It would take some time to cover all the type of scenarios as experts can only create questions based on their own experience and other people might have got different questions as well. These type of scenarios will be eventually covered over the period of time. Understand the concepts provided in the syllabus thoroughly. Do take any of the good video course based on your liking. Make sure you read the forum of their vendors to undersatnd the missing topics and concepts that may not have been covered in that video course. Please do go through the whitepapers provided in Syllabus. As far as practice tests are concerned they should last step in your preparation so that you can test your knowledge against given scenario questions. if you are confident wrt the technical concepts provided in exam syllabus you can surely attend. If you are only depending on Whizlabs Practice Tests, then i would suggest you to wait for a another month or so so that we can thoroughly cover all the type of scenarios which might be coming in new exam. I have one question though – are the 64 new questions split among all tests? I think it would be better if we have whole practice tests updated with the new material only.